Trust Pro Landscaping Kitchener to make your vision come to life. Our team of highly dedicated project consultants will work with you to design a completely customized outdoor space. 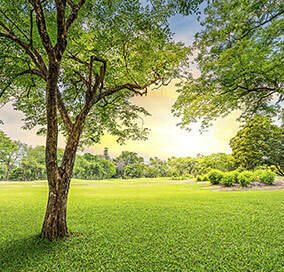 Pro Landscaping offers a wide variety of services, including hardscaping, garden design, sod repair, and tree transplanting. We take pride in our ability to transform your home or business exterior into a truly vibrant outdoor oasis. When it comes to landscaping, Kitchener Waterloo homeowners can trust that Pro Landscaping will complete any job with superior attention to detail and excellent craftsmanship. Whether you have an idea in mind already, or you’d like our project consultants to provide their expertise, our team will be with you every step of the way. Pro Landscaping places client satisfaction above all else, and we pride ourselves on providing home and business owners in Kitchener landscaping solutions that add priceless assets to their property.